Alfie centrifugal separators remove the contaminating oil, grease and solid particles from coolants used in industry, helping prevent tool wear and avoid disposal problems. Coolants are a major expense throughout metalworking industry, and replacing them once used is often messy and time-consuming. Disposing of used, contaminated coolants is also a continually escalating expense due to the need to comply with increasingly stringent environmental regulations. Dirty coolants also result in substantial follow-on costs. Any tramp oil or solid particles present in a coolant can cause substantial wear on expensive tools and equipment, quality problems during subsequent processing and health problems for staff. The Alfie range of compact high-speed centrifugal separators makes it easy to significantly reduce all such costs by keeping coolants clean, and do so in the most cost-effective way possible. Alfie units can be linked to a bypass flow, ensuring less downtime for service. In addition, fewer man-hours are required for maintaining service fluids. An Alfie separator plays a key role in ensuring longer tool service life and cleaner components, thus improving end-product quality. The Alfie range currently consists of two different units. The Alfie 200 is designed for mounting on top of coolant tanks, and is fitted with a bellows that automatically adapts the inlet to the level of fluid in the tank. 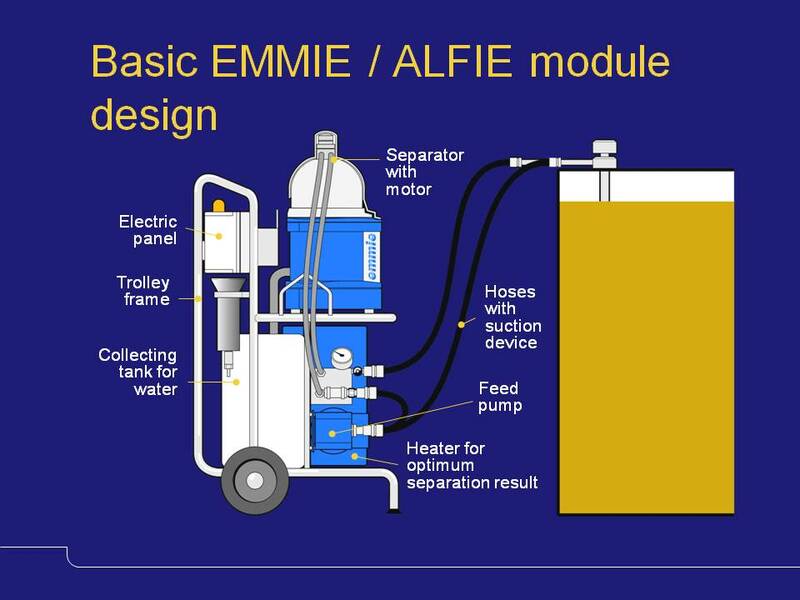 The Alfie 500 is a compact, wheeled separator system that the operator can move from one tank to another. 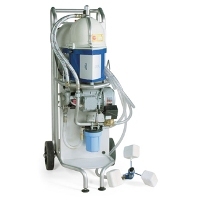 The PLC-based control system is easy to use, and special couplings make it easy to connect and disconnect the hoses quickly when moving the cleaning unit around.